Introducing The Next Generation Of Color Inkjet Addressing Technology! 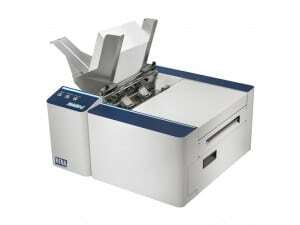 We are very pleased to introduce the new RENA Mach 5 Digital Color Printer. The Holy Grail for the inkjet business has been high speed color for the last few decades. 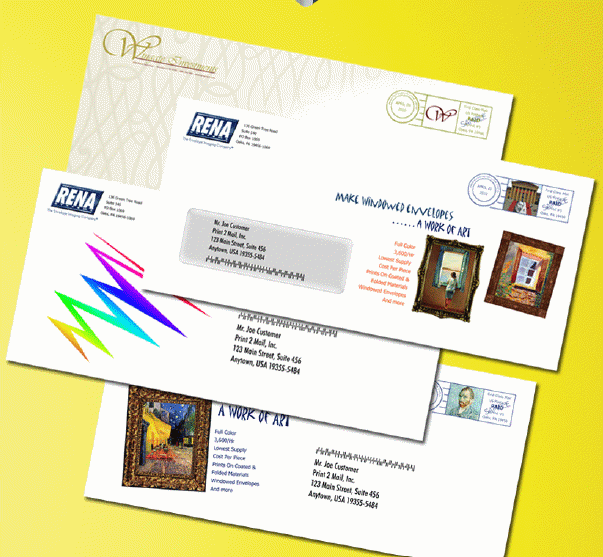 RENA has been pushing the limits of color inkjet technology for direct mail since 1999. Never compromising on print quality, we worked with our partners to deliver the best products. The technology limitations that limited speed previously are gone with the advent of a completely new technology – Memjet technology®. While most printers print side-to-side across paper with just a few jets, the RENA Mach 5’s Memjet technology prints through a stationary printhead that has over 70,000 jets. This “waterfall” technology isn’t just incredibly fast, it also has fewer moving parts. The result is a revolutionary new way to print vibrant color envelopes, postcards, documents and more in mere seconds. The RENA Mach 5 ink tanks are 250 ml each for long runs with two black tanks for maximum production. The inks are industrial grade to print on a wide variety of media, including many coated stocks. RENA strives to be on the cutting edge of innovation in mailing, and you can’t get more cutting edge than offering the first product in the world to feature this new technology. Place your order today to secure a unit from the January production run! Brochure and pricing on the Rena Mach 5 can be viewed here!